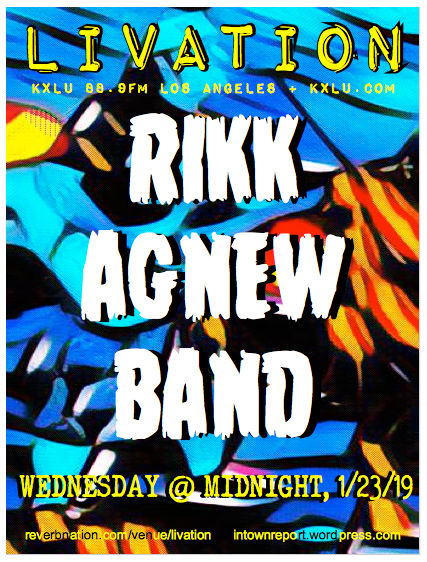 This week, LIVATION welcomes The Rikk Agnew Band, playing live on KXLU! Rikk (Adolescents, Christian Death, RADolescents, early Social Distortion) put together a great group, including his amazing vocalist/songwriter wife Gitane Demone. (GDQ, Christian Death, Pompeii 99). They go on between 12:15 -12:30 a.m. Thursday morning, then listen to the on air interview after! Tune in at 88.9 fm in Los Angeles, stream it live at kxlu.com or catch it on the KXLU phone app! Wednesday @ Midnight to Thursday, 2 a.m. This is not an advertisement. The LA Beat does not accept advertising or sponsored posts. 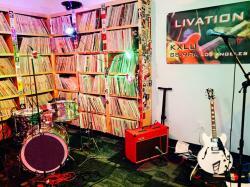 We are teaming up with Livation to bring you more information about upcoming shows in LA. This entry was posted in Events, Interviews, Music, Upcoming Events and tagged Adolescents, Christian Death, GDQ, Gitane Demone, kxlu, LIVATION, Pompeii 99, radolescents, Rikk Agnew Band, Social Distort. Bookmark the permalink.